As most parents know, developing strong literacy skills starting at a young age is essential for future academic success. 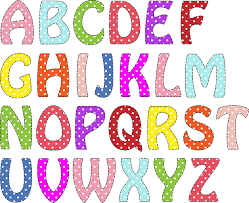 The first step in preparing your child to read and write is, of course, learning the alphabet. Extensive research has shown that a child’s grasp of the alphabet in addition to their overall phonetic awareness strongly predicts future literacy development. It is therefore never too early to introduce your preschooler to the ABCs, particularly the difference between upper and lowercase letters. 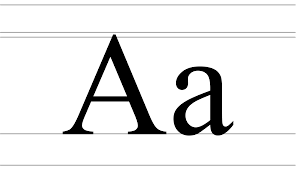 Uppercase Vs. Lowercase: Which to teach first? Once your child begins to consistently recognize the shape and sound associated with each of the 26 uppercase letters, it is typically at this point that the corresponding lowercase letters are taught. There are a number of fun and engaging ways you can have your little one practice the uppercase and lowercase letters they’ve learned. Preschoolers are very visual learners, therefore it is crucial to incorporate such tools and resources into their letter learning process. One great way to do this is to keep a set of flashcards handy. Have them identify the upper and lowercase letters they see on each card. They’ll be experts in no time! Another great activity requires just a stack of sticky notes. Simply write the uppercase letters and lowercase letters on separate sticky notes, and stick the uppercase letters up on the wall. Have your child place the correct lowercase letters next to their matching uppercase letters. If your child loves video games, as most do, have them check out the variety of online games available that use stimulating graphics and bright and colorful visuals to teach upper and lowercase letters. Preschool age children love using their hands to play, and also to learn. Purchasing alphabet blocks or foam letters is a unique way to introduce upper and lower case letters to your little one. They’ll be able to sort and match the “big” and “little” letters all across the floor! Of course, one of the best ways to show your child the difference between upper and lower case letters is to grab a book and get reading. Not only will they have the opportunity to practice their speaking, listening, and comprehension skills, they’ll better learn which sounds are associated with each letter.